Gudnapura in North Kanara district is just five kms from the famous ancient city of Banavasi which was the capital of the early Kadambas. Gudnapura suddenly became famous because of the discovery of an inscription of Kadamba Ravivarman. The inscription has been inscribed in box-headed characters of Brahmi of the sixth century AD. This inscription furnishes some very important evidences regarding Gudnapura which perhaps was the area where a large number of royal buildings existed. The inscription states that king Ravivarma built a temple for Manmatha and set up this pillar with this inscription. While mentioning the boundaries of the temple it states that to the right of the temple was a palace of the king while to the left there were two dancing halls (nrityashala) and in front was harem (antahpura). Taking the clue from these details, the Archaeological Survey of India conducted excavations at the site and this resulted in bringing to light two brick structures, with various antiquities. 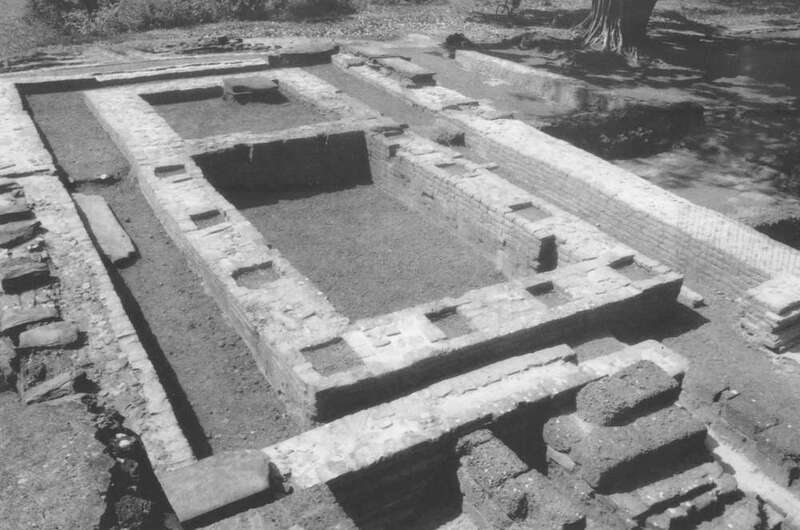 One of the brick structures has been identified as a temple. It consisted of a garbhagriha and a longish mandapa and both are enclosed within a prakara. This provides inner circumbulatory passage. The mandapa had wooden pillars. The mandapa had two entrances. A large number of flat but apsidal small tiles have been discovered in the excavation and perhaps they were used for the ground and roof. Some of these tiles have small holes. Large number of iron nails have been found in the excavation and hence it is suggested that these roof tiles which had holes were fixed to wooden beam with the help of these nails. The bricks used here are of high quality and some of them measure 38 by 19 by 17 cms. In front of the temple is another structure made of laterite bricks and it may belong to a slightly later period. Unfortunately there is no clue to know the god which had been consecrated in the garbhagriha of this temple. It is of interest to note that the Gudnapur inscription mentions a temple for Manmatha and some scholars equate Manmatha with Bahubali. Perhaps this temple can be identified as the one mentioned in the Gudnapur record. A copper casket with a lid in the form of a tortoise was found in the excavation. Thus the excavation has yielded very interesting data regarding the temple architecture of the early period at Gudnapura, close to ancient Banavasi of the early Kadamba period. Edgar de Picciotto, an early promoter of hedge fund investing, passed away on Sunday 13 March 2016 after a long sickness. On November 12, 1969, de Picciotto opened his own asset-management bank in a city dominated by such well-known private banking names as Pictet Group, Lombard Odier, Darier and Hentsch. Edgar de Picciotto founded Union Bancaire Privee (UBP) in 1969. UBP is one of the most favorably capitalized private banks in the world, and a leading player in the field of wealth management in Switzerland with $110 billion in assets under management at the end of December 2015. 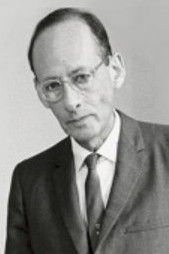 Edgar de Picciotto, who was born of Syrian-Lebanese parentage, moved to Switzerland in the 1950s and worked as a financier before founding UBP’s predecessor in 1969. From the bank’s inconspicuous headquarters on one of Geneva’s chief luxury-shopping drags, he built a customer base of affluent individuals and institutions all over Europe, the U.S., and the Middle East. As our 2015 Annual Report was going to print, we learnt with deep sorrow that Edgar de Picciotto, the Chairman and founder of Union Bancaire Privee, had passed away at 86 years of age. Edgar de Picciotto was a recognized creative visionary and pioneer in a wide variety of fields in the banking industry. 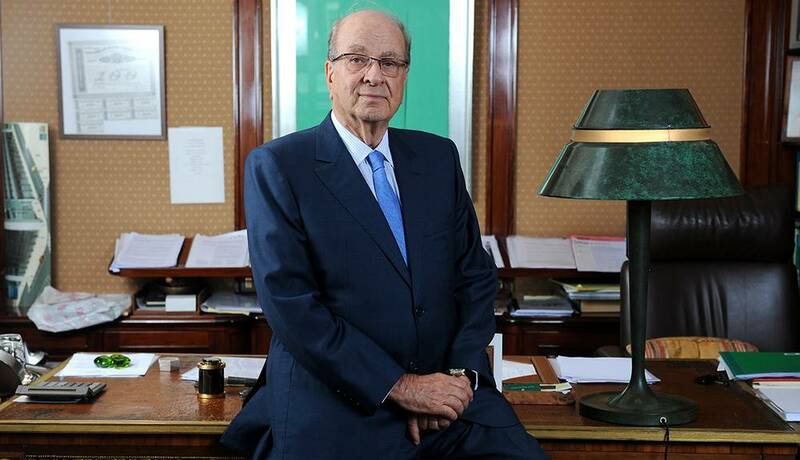 He quickly rose to become a leading figure of the Geneva financial hub, and one of the most respected authorities on investments around the world. 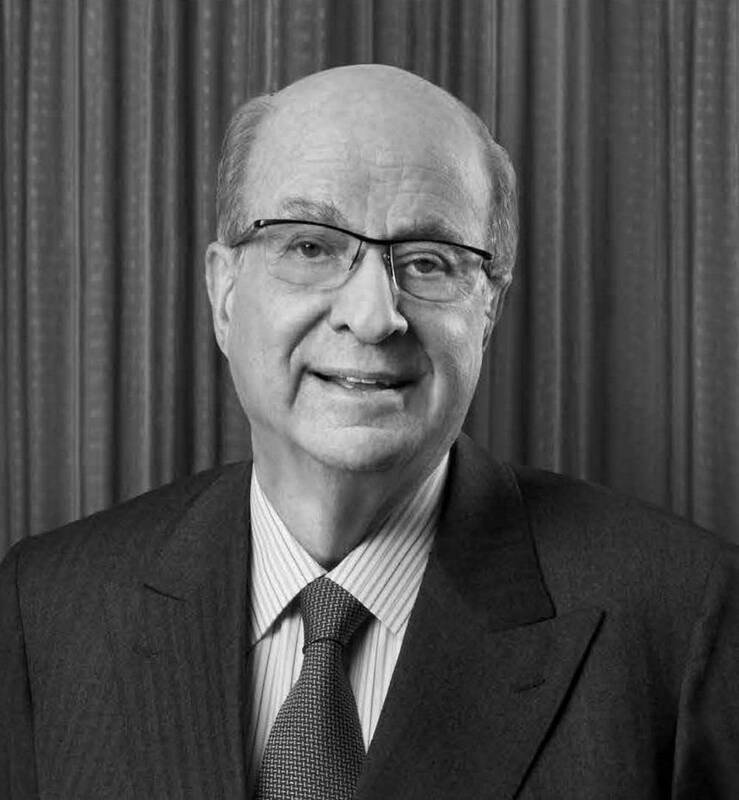 In just a few decades, Edgar de Picciotto turned UBP into one of the world’s biggest family-owned banks. Very early on, he also set up a governance structure designed to ensure the Group’s longevity by integrating the second generation of his family into the business. UBP is his life’s work. UBP is his legacy to us. It now falls to us to grow UBP with the same entrepreneurial spirit that he used to create the Bank, by perpetuating the values that Edgar de Picciotto would wish to see upheld every day and in everything we do. Edgar de Picciotto’s children and all the members of UBP’s management are determined to carry on the spirit that its founder instilled in it, and they know that they can rely on the professionalism and dedication of all UBP’s staff members to continue to grow the Bank’s business, while also maintaining its independence. In 2002, news of merger talks between two family-controlled private banks, Union Bancaire Privee (UBP) and Discount Bank & Trust Company (DTBT) over forming one of Geneva’s biggest private banks became newest sign of the altering attitude among the country’s private banks. Withdrawing from UBP’s operational management 20 years ago, de Picciotto set up a governance structure designed to guarantee the bank’s durability. His son Guy de Picciotto has been chief executive officer since 1998, while his daughter, Anne Rotman de Picciotto, and his eldest son, Daniel de Picciotto, are on the board of directors. Byron Wien, vice chairperson of Blackstone Advisory Partners, had the pleasure of calling Edgar de Picciotto his mentor. Mentors fall into two categories: there are those you work with every day who are incessantly guiding you to enhanced performance. The ability to serve as a great mentor is one of the most undervalued and underappreciated skills in finance. Perhaps better branded as a “role model,” an outstanding mentor can provide not only a wide-ranging knowledge base and technical skills, but also the sagacious financial judgment that implies the high-class investor. Perhaps of even larger importance, a mentor can express a “philosophy of practice,” including the optimal interaction with clients and economists, a procedure for remaining current with advances in the field, and a thorough concept of how the practice of finance fits into a full life. A sympathetic mentor can also provide counselling in selecting the best practice opportunity and can maintain a close relationship for many years. Mentors are significant to all of us, as they teach us what can’t be learned from books or in the classroom. They set aside a concrete example of “how to get it done,” and, sometimes more importantly, what to be done, when to do it, and whom to engage in the effort. Their inspiration often carries us through when nothing else does. Understand the consequence of understanding the macro environment. “Many people describe themselves as stock pickers … but you have to consider the economic, social, and political context in which the stocks are being picked.” De Picciotto indubitably showed he had a good nose for trends. Meet as many people of authority as you can. “For him, networking never stopped.” De Picciotto took great pleasure from knowing smart people and exchanging ideas with them. “Nobody owns the truth.” De Picciotto would test his ideas on those he cherished and, and if he ran into a convincing conflicting opinion, he would contemplate on it seriously and sometimes change his position. While he never lacked principle about his ideas, he was unprejudiced and malleable. Value the trust and the delight of friendship and the vainness of resentment. De Picciotto was gratified of his own success but also an enthusiast of the success of others who were his friends. Never talk about overlooked opportunities except when you are disapproving yourself. Be your own harshest critic. Even if you are an intellectual risk taker, you will make many mistakes. Diagnose them early, but never stop taking risks, because that is where the tangible opportunities are and your life will be more invigorating as a result. Nirvana is the Hindu/Buddhist concept of the state of enlightenment achieved when karma and craving are extinguished. The concept of nirvana originated with the historical Buddha, Siddhartha Gautama (c. 563-483 BCE), during the sixth century BCE. Though Buddhism is grounded in Hindu philosophy, it is a heterodox approach to spiritual cultivation that eschews some of the core tenets of Hinduism, and the belief in nirvana epitomizes this philosophical shift. The Sanskrit word nirvana literally translates as “snuffing out,” and refers to the eradication of the karma (a force generated by a person’s actions) and craving that bind an individual to the cycle of rebirth (samsara). One of the central ideas of Buddhism is anatman, which is a rejection of the Hindu notion that there is a permanent, essential self (the atman, or soul) that is one with ultimate reality. Because there is no self to whom karma can attach, Buddhism explains the transfer of karma using a candle metaphor: just as an old candle (one’s dying body) begins to peter out, its flame (karma) ignites the wick of a second candle (an infant’s body). Thus, karma is able to transfer without having to attach to a self. Nirvana occurs when one has reached enlightenment and eliminated ignorant attachment to false ideals, which snuffs out karma and allows one to exit the cycle of rebirth. 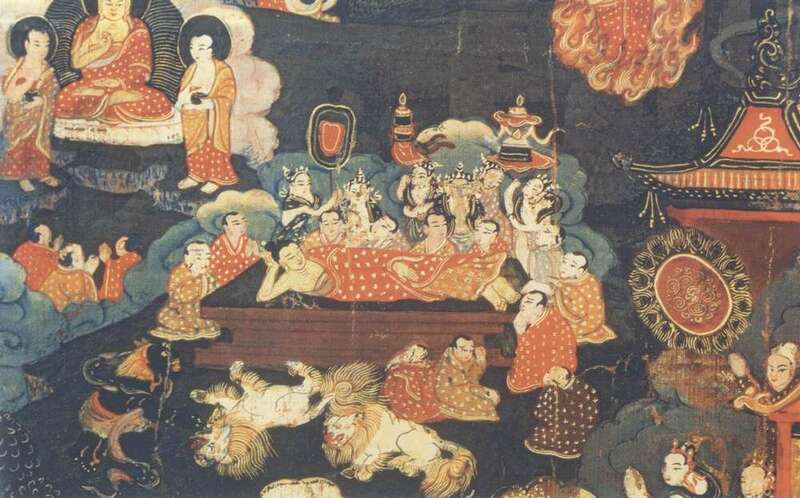 Theravada Buddhism divides nirvana into two stages, the awakening of the arhat (enlightened being) and parinirvana (the exit from samsara upon death), though practitioners in the Mahayana tradition take the bodhisattva vow to not enter nirvana until all sentient beings have been awakened. Though nirvana signifies a key split from Buddhism’s Hindu origins, the concept has influenced Hinduism and is present in the 700-verse scripture the Bhagavad Gita, in which Krishna uses the concept of brahama nirvana to describe the state of liberation in which karma is eradicated and one has achieved union with Brahman (ultimate reality). and continues to be a must-read today for investors and finance professionals around the world. Today, we will dig deeper into his selling discipline. For many investors, buying a stock is much easier than deciding when to sell it. Selling securities is much more difficult than buying them. The average investor often lacks emotional self-control and is unable to be honest with himself. Since most investors hate being wrong, their egos prevent taking losses on positions, even if it is the proper, rational decision. Often the end result is an inability to sell deteriorating stocks until capitulating near price bottoms. Wrong Facts: There are times after a security is purchased that the investor realizes the facts do not support the supposed rosy reasons of the original purchase. If the purchase thesis was initially built on a shaky foundation, then the shares should be sold. Changing Facts: The facts of the original purchase may have been deemed correct, but facts can change negatively over the passage of time. Management deterioration and/or the exhaustion of growth opportunities are a few reasons why a security should be sold according to Fisher. 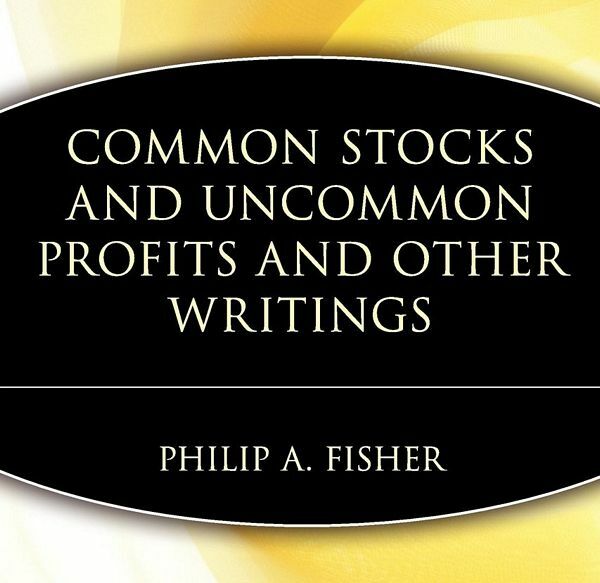 Scarcity of Cash: If there is a shortage of cash available, and if a unique opportunity presents itself, then Fisher advises the sale of other securities to fund the purchase. Many investors are reactive and sell at the same time everyone else does—when they’re fearful. But your emotions aren’t the best guide for making critical financial decisions. Long-term investors should not fear occasional swings in the market. When the market dips or takes an unusual turn, that is the perfect time to review your portfolio and re-evaluate your investing strategy. The term megalithic culture is used to denote the culture of a group of people who built their large tombs with the help of mega (huge) liths (stone) or huge stones. Literally there are thousands of such tombs all over South India including Karnataka. In general terms they were the successors to the new stone-age people. After the megalithic period we enter into the early historic period. Chronologically, the megalithic period lasted from about 10th century B.C. to 3rd Century AD., with lot of various dates in between. There is a great variety in their tombs and culturally they are the introducers of iron into South India. Though their habitation sites are rare, their burials have been found in groups in hundreds. They had learnt the technique of quarrying and dressing stones for the purpose of the building their tombs of different varieties. These tombs contain bones and other related grave goods including iron objects. 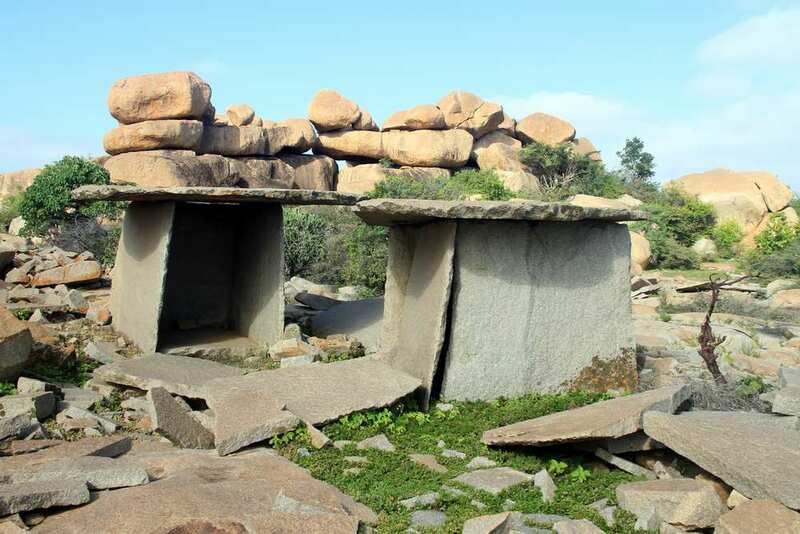 After the systematic excavations of Brahmagiri megaliths (near Chitradurga) many other sites have been excavated which give us a glimpse into the life of the megalithic people. Megaliths at Hirebenakal in Raichur, Aihole in Bijapur, and Kumati have been studied in, great detail. Kumati is unique because it has stone anthropomorphic figures of huge size, not generally found elsewhere. 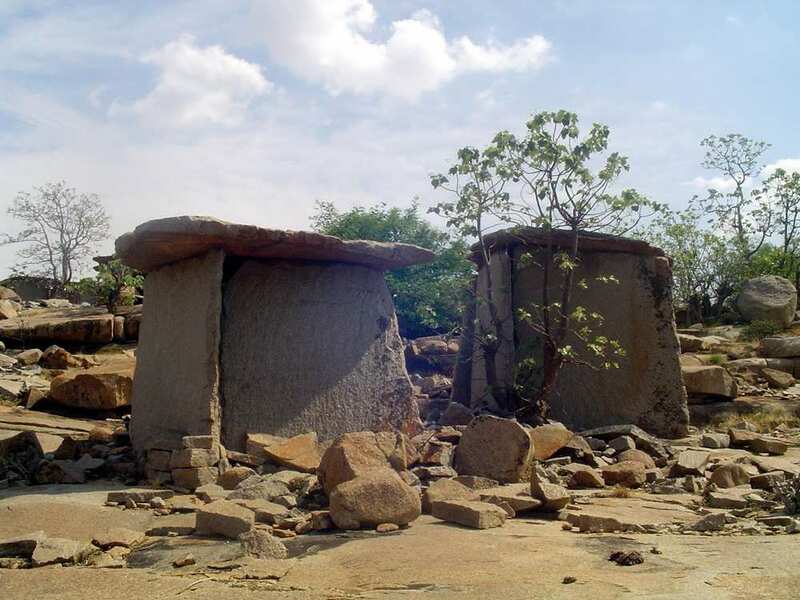 Megaliths are locally known as Moriyaramane, Moriyara Angadi or Moriyara Gudda. They may be divided into many varieties on the basis of their external appearance as dolmenoid cists with port-holes, rock-shelter chambers, polygonal cists, dolmens with closed port~hole, stone circles etc. The underground chambers generally contained various types of pottery with food and water along with iron implements used by the person, beads, other ornaments and skeletal remains. This shows that they had a strong belief in life after death. With the help of these objects, life of the megalithic people has been reconstructed. They belonged to an agricultural community and manufactured iron tools such as knives, axes, hooks, chisels etc. Perhaps they had a class system the details of which are not known. They practiced agriculture and lived in huts. Thus the megalithic people laid a firm foundation for the beginning of historical culture. Ralph Waldo Emerson (1803—1882) was an American essayist and poet. Born in Boston, Massachusetts, Emerson was the fourth child of a Unitarian minister. Throughout his writings, Emerson is keenly concerned with the growth of the individual—the development of the individual’s powers, potentials, and capacities—an emphasis demonstrating that his thought is thoroughly centered on educational concerns. Emerson was one of his era’s leading liberals. His prime meaning in any case is self-reliance intellectually and in everyday life. He urges us to trust ourselves, to recognize human divinity and avoid imitation. It is a simple message but all-important – and far easier said than done. 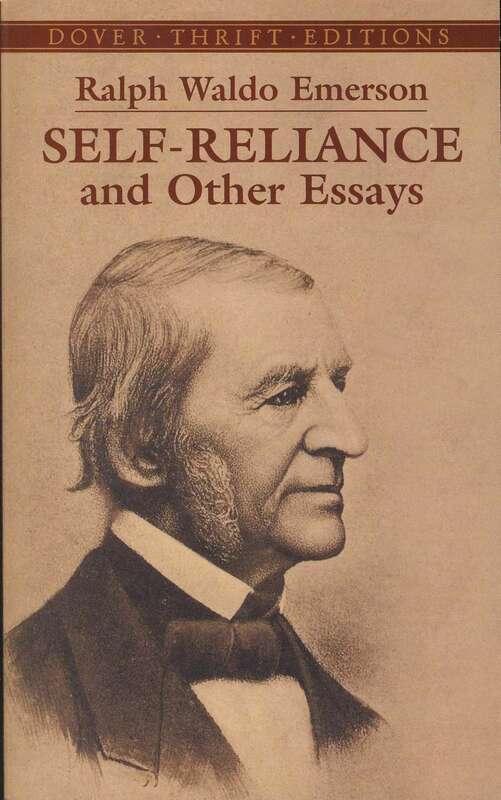 Ralph Waldo Emerson’s Self-Reliance may be a short essay, but it is packed with advice which is probably more relevant today than it has ever been. At only 30 pages, Self-Reliance has the qualities of a concentrate, perhaps the very essence of personal development. Self-Reliance was one of the key pieces of writing which helped carve the ethic of American individualism, and forms part of the intellectual bedrock of today’s self-help writers. Relish what really matters in your life; the simple things like your friends and family, your hobbies and perhaps your work. Enjoy the freedoms you have and recognise the value of living a normal life outside of the public eye. Ralph Waldo Emerson’s Self-reliance is one of the major writing that helped carve the ethnic American individualism and form the intellectual basis of today’s writers. The thought of self-reliance inspires people not to conform to social conventions but to rely on themselves. When you are working on your next task, give it your full concentration and really put the effort in to produce the best possible end result. Even if it doesn’t lead to glittering success, you should be proud of yourself for doing your very best. Emerson’s essay begins by reconstructing volving theory of recognition and the central role it played for his concept of ‘self-reliance.’ Initially having adopted the theorizations of recognition developed by Scottish Enlightenment thinkers, Emerson came to articulate the idea of self-reliance by way of developing an alternative approach to recognition, in which the source allocating recognition is neither society nor an inborn moral sense, but rather the transcendentally conceptualized self. Emerson’s shift towards self-recognition poses questions seldom asked in the contemporary debate on recognition. “… Live no longer to the expectation of these deceived and deceiving people with whom we converse. Say to them, O father, O mother, O wife, O brother, O friend, I have lived with you after appearances hitherto. Henceforward I am the truth’s. Be it known unto you that henceforward I obey no law less than the eternal law. I will have no covenants but proximities. I shall endeavour to nourish my parents, to support my family, to be chaste husband of one wife,—but these relations I must fill after a new and unprecedented way. I appeal from your customs. Full essay is here. 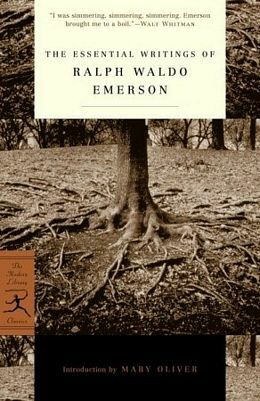 Emerson wrote Self-Reliance in 1841—well over 160 years ago—and I believe it provides both a delightful antidote for the times in which we live and also holds up an ideal with which to guide us. Self-reliance—the ability to stand on our own two feet and live a life which is our own and not borrowed from someone else, or one which is meaningful and not superficial—is indispensable in instituting our own exclusive identity. So if, like me, you think self-reliance is important, read on. “A man,” Emerson writes, “should learn to detect and watch that gleam of light which flashes across his mind from within, more than the luster of the firmament of bards and sages.” There is a certain ambiguity in this statement concerning the question of whether social approbation is categorically distinct from the “grace with the loftier deities” or linked to it by inversion. One also notices Emerson’s rhetorically combining Roman polytheism with Protestant grace, the distinction between lesser and loftier deities amounting to a kind of Protestant doctrine of two kingdoms in which two different economies of recognition are at work. Find somewhere you can think and reflect. It might be the public library or the bottom of your garden. It doesn’t matter where, as long as you spend some time thinking and don’t forget to take a notebook to jot down your thoughts. Everything we do depends for its quality on the thinking we do first. The great philosopher of affirmation is concurrently the great teacher of dissatisfaction, even disappointment. In each of us, the energies of hope should make room for the emotion of philosophical acceptance of the world, as it must be. If you want to feel at peace go for a walk in the countryside and learn to appreciate your surroundings. Better still, do some sport as this releases serotonin which is so critical to the feeling of well-being. You don’t need to spend lots of money on a new car to make yourself feel happy; just go for a run. Having established these fundamental dimensions of Emerson’s theory of inspiration, it is crucial to see that Emerson’s praxis of eloquence was geared at putting inspiration into effect. This he attempted to achieve by activating the reader’s imagination. Previously, this aircraft already in complete Ryanair livery, was used for training, and may have it has covered a couple of scheduled services. Perhaps the aircraft will be in demand when soccer teams have to play in far-flung eastern European destinations. 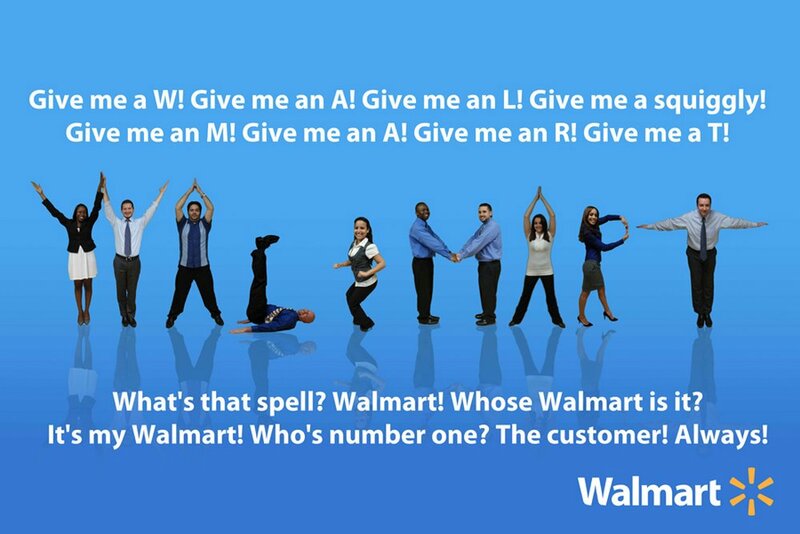 Ryanair also aims it at sports teams, travel groups as well as business customers. Ryanair will price the services of this aircraft on a cost-per-hour basis, and depending on the departure and arrival airports, the rates could be the most competitive in Europe. For the summer season, the Boeing 737 corporate jet will be used as a normal passenger aircraft with 149 seats for training and as a backup aircraft for routes between the UK and Ireland. Ryanair exclusively flies Boeing 737-800 aircraft, of which 320 are in service and 153 in orders, as on 10-Mar-2016. Ryanair is also the launch for the 197-seater Boeing 737 MAX 200 aircraft with options for an additional 100 aircraft of this subtype—all to be delivered between 2019 and 2023. The MAX 200 aircrafts hold eight more passengers than the popular Boeing 737 MAX 8 aircraft. This subtype includes a mid-exit door to increase the exit limit. With eight additional seats than the standard 179-seater MAX 8, Boeing claims that the MAX 200 airplane offers 20% superior operating cost efficiency in comparison to the Ryanair’s staple, the 737-800. The front and rear galley spaces are removed and the lavatory space is repositioned to the rear of the aircraft. Surprisingly, Ryanair claims that the seat pitch will stretch to a tad over than 30 inches. Michael O’Leary, Ryanair’s CEO, had been pushing for a maximum-density 737-800 aircraft for ten years. 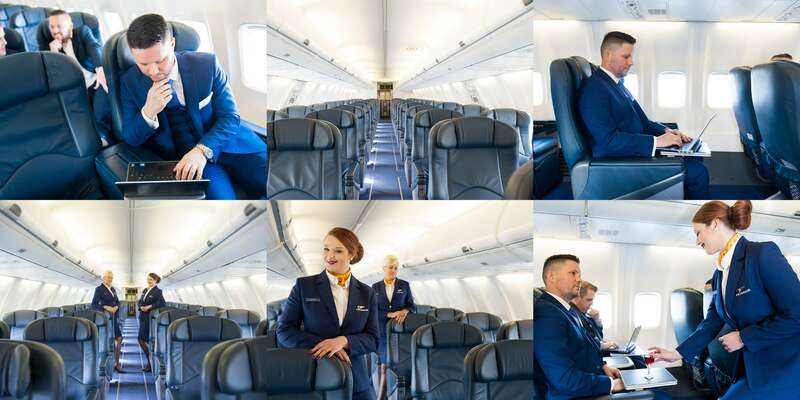 Beyond 200 seats, Ryanair will need a fourth flight attendant on its aircraft. Although Boeing claims that 35% of the worldwide market demand for single-aisle aircraft will in due course lie with low cost carriers (LCCs,) for which the MAX 200 is intended, Ryanair is the sole customer thus far for the Boeing 737 MAX 200. News emerged in March 2015 that Boeing was presenting some airlines with concept of 737-8ERX, a longer-range version of the 737-8 MAX. Ryanair owns three Learjet 45 aircrafts, which are based at its prominent bases in London Stansted (STN) Airport and Italy’s Bergamo Airport (BGY, 45 km northeast of Milan.) These aircrafts carry Isle of Man registrations M-ABEU, M-ABGV, and M-ABJA. They are primarily used to rapidly transport aircraft parts and maintenance personnel around Ryanair’s ever-expanding network. The number of aircrafts in order is testimony to the ambition of Ryanair to accelerate its traffic growth modestly. Ever since transforming in the LCC paradigm in the mid 1990s, Ryanair has mostly operated a single aircraft type, thereby providing economies of scale and flexibility in terms of aircraft deployment, maintenance, crew scheduling, and training. Ryanair has unit costs that are lowest of any European airline and one of the lowest of any airline on the planet. Ryanair has a level of unit cost that is unlikely to be equaled by competitors in Europe and so other airlines are doubtful to be able to contend with it on price. There are four caves or rock cut temples at Badami and they are numbered I to ‘I’ fo ‘IV’ easy identification. They are all carved side by side. The first cave is dedicated to Siva, second and third are caves for god Vishnu and the last one is for Jina. There is also a natural cave which is referred to as Buddhist cave. The existence of places of worship of Saiva, Vaishnava and Jaina religion side by side testifies to the religious tolerance of the people of the Chalukya period which is worthy of admiration. This Saiva rock cut cave looks small from the outside. It has a long flight of steps from the ground level to go upto the level of the cave with a pavement in front. The facade of the cave consists of a moulding which has carved ganas in different moods on either side. Above the moulding are four square pillars with two pilasters at each end. The pillars have low relief carving. The temple itself consists of a portico, a mandapa and a garbhagriha. The rectangular portico has some beautiful sculptures, such as Nataraja, Harihara, Ardhanarisvara, etc. 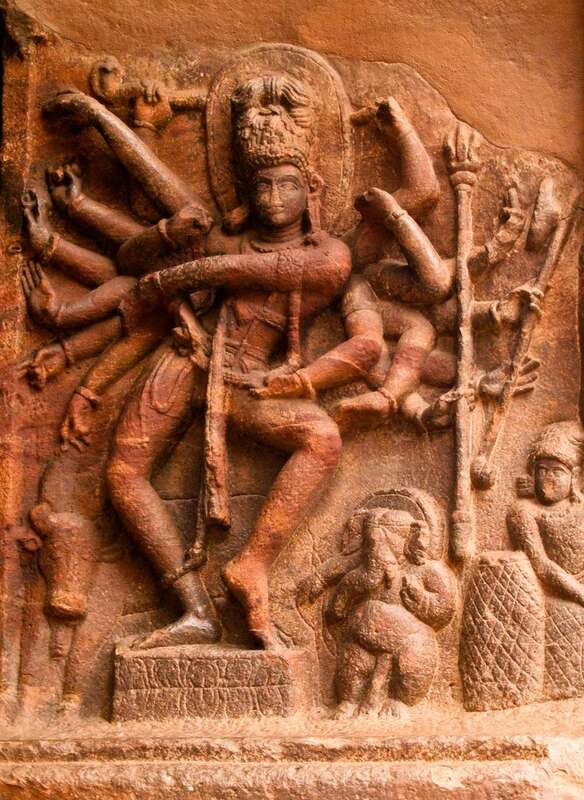 The dancing Nataraja has eighteen hands each of which has some weapon or the other. He is dancing in dvibhanga. To his left is Ganapati who is also dancing and by his side is a drummer playing on the mridanga. The whole composition is extremely vibrant. The other sculpture of Harihara is another elegant composition. Right portion of the main sculpture represents Siva as can be identified by battle axe, serpent, and Nandi with trisula. To the left is Vishnu who holds the sankha, with garuda at the bottom. Parvati and Lakshmi are standing on either side of the god. Thus it represents Siva-Vishnu aspect very effectively. The eight feet tall Ardhanarisvara is another elegant sculpture with gods and goddesses on the top and dwarf ganas at the bottom. The right portion is symbolic of male while the left is female . The harmonious combination of this aspect is fully brought out by the artist very effectively. The bass-relief sculpture of flying gandharva couple within a circular medallion is a beautiful sculpture, expressing the divine smile. The pillars have sculptures of Narasimha, Garuda and Prahlada, Yogi worshipping linga, mithuna figures etc. The small garbhagriha has a linga on its pitha. There is no inscription in this temple to fix its date. But taking the stylistic evidence and the inscription of Mangalesha in the third cave, it may be ascribed to sixth century AD. Kanganahalli in Gulbarga district is situated on the left bank of the river Bhima and the archaeological site is located about 3 km from the famous Chandralamba temple at Sannati where Ashokan inscriptions have been discovered. Though there were enough indications for the existence of Buddhism and Buddhist art during the early centuries of the Christian era in Karnataka, they had not been discovered yet. 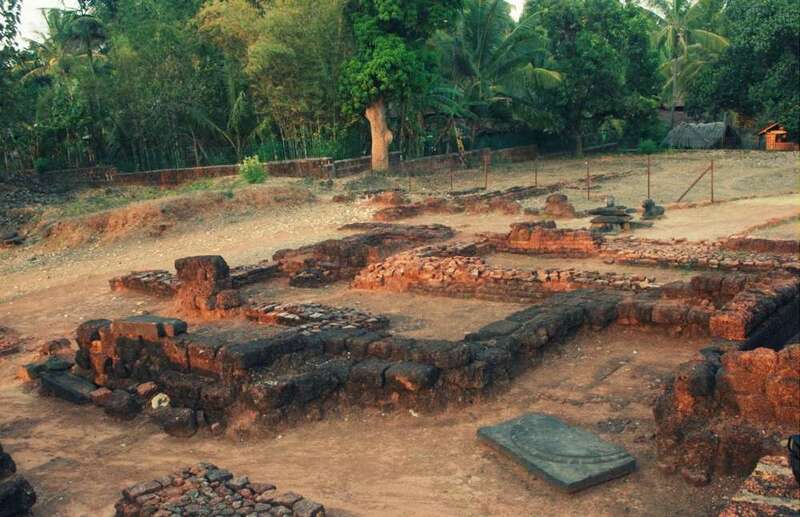 Hence archaeologists taking the clue from surface finds began conducting excavations at Sannati and Kanganahalli and the excavations have yielded ample material throwing new light on the Mauryan period and a flourishing Buddhist art in the early period. The excavations are still in progress and once the excavations are completed a new brilliant chapter on Buddhism and Buddhist art in Karnataka becomes clear. The most important result of the excavation was a mahastupa the diameter of which was around 75 ft. It should have had an impressive height in keeping with the diameter. It also exposed the medhi along with hundreds of sculptured slabs with lotus designs and other decorations. Standing or seated Buddha images of Amaravati style have added a new dimension to the early art of Karnataka. One of the most important and rare sculptural slabs had a portrait of Mauryan king Ashoka. The majestic king is accompanied by his queen and they are attended by two chauri beares. To confirm that it was the portrait of Ashoka, the sculptor has carved a single line label inscription, reading “Rayo Asoko” in Brahmi script of the Satavahana period. Perhaps this is the first inscribed image of Ashoka discovered in India. 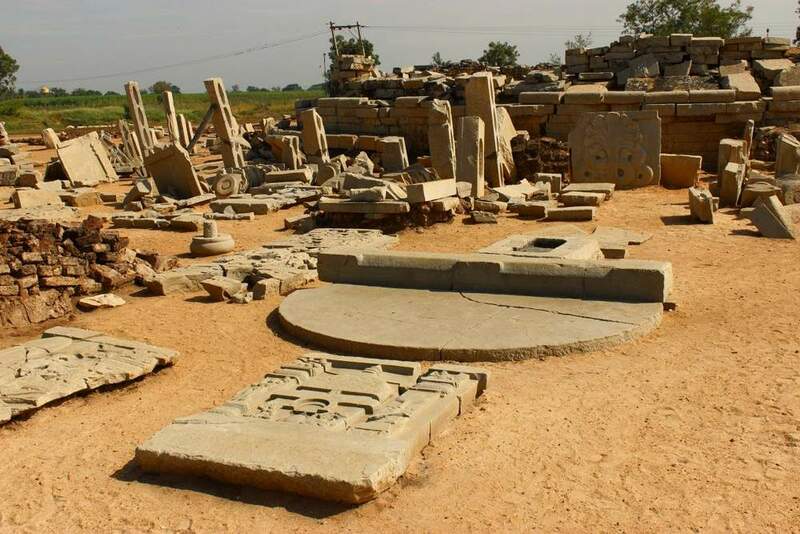 The excavation has yielded literally hundreds of limestone bass-relief sculptures as well as full round sculptures relating to railing and paved circumbulation, and slabs with carvings of Jataka stories. Thus it is a veritable storehouse of Buddhist sculptures of the early period. The excavation also yielded more than one hundred inscriptions of Brahmi script and Prakrit language datable to first century B.C., to second century A.D. Some of these inscriptions refer to Satavahana kings like Sri Satakami, Pulumavi, Yajnasri Satakami etc. The excavation has also yielded a large number of coins of the Satavahana kings. Thus the Kanganahalli excavations have great significance for the early history of Karnataka. All those who are interested in the early history of Karnataka have been waiting for the completion of the excavations at Kanganahalli so that a new chapter on Buddhist art can be added.